Medical cannabis has been legalized in many US states. In fact, a small but rising number of cities have also legalized recreational cannabis use. However, it is still the most commonly consumed illegal drug in the US today, although this is with good reason. The year 2016 was one of the most celebrated in cannabis history, as the iconic herb was made legal in at least 25 of the 50 states, including Nevada, Massachusetts and California. By the end of the same year, it was reported that 60% Americans were in favour of cannabis’s legalization. Marijuana legalization came with both benefits and a few noteworthy risks because, after all, it is a drug classed as a ‘Schedule I’ substance, according to the DEA (Drug Enforcement Administration) and other federal agencies. Cannabis has been proven to have many benefits through research and multiple studies, including help with sleep and relief from chronic pain. But when it comes to smoking cannabis, there may be certain health risks that are worth paying attention to, especially if you’ve had a history of lung problems in the family. Here at Seedsman, we have a comprehensive library of seeds that are considered medically beneficial. There’s no denying that cannabis is one of the most readily available and widely consumed medicinal and recreational drug on the global market. For many, it’s a ‘fun and harmless’ substance – however, it is important to understand that cannabis is still a drug, much like caffeine or some of the compounds found in anti-depressants and painkillers. As such, it can sometimes have long-term ramifications on the mind and body – particularly if taken far too often and in relatively heavy doses. Now, this is not to say that all cannabis strains are ‘bad’ by default and have negative consequences only. Cannabis has been documented in well-researched studies to help victims of PTSD, cancer, Alzheimer’s, Parkinson’s and other health conditions recover faster. However, on the other end of the spectrum, there’s also plenty of research out there claiming that cannabis can impair memory and cognitive function, induce sleep disorders and even cause noticeable mood fluctuations. Interestingly, majority of these studies often don’t disclose the test subjects’ family history or their mental and emotional state prior to and during the trial. Referring to the age-old adage ‘too much of anything can be bad’, the same may apply to cannabis, because you are consuming a drug and not something the body naturally produces on its own. However, here’s where it really gets interesting – users who smoke their cannabis may be more prone to suffering from the adverse effects, particularly on the cardiovascular system, than those who consume it in an edible or vape it. In order to fathom what effect cannabis has on your system in the long run, especially if you smoke it, we must first understand how it influences the mind. Cannabis provides the psychoactive effects or ‘high’ you experience simply because it contains an active compound known as THC (tetrahydrocannabinol). The compound mimics something called endocannabinoids, which the body actually produces on its own accord as well. In the mind, these ‘endos’ work to control the production of certain neuro-pathways – chemical substances tasked with facilitating communication between the central nervous system and the mind. As far as the rest of the body goes, endos have the ability to reduce muscle spasms, promote relaxation, protect compromised tissue, regulate metabolism and appetite, and much more. Since endos play such a critical role that the brain already has a few tailored receptors for them, so that they can bind together easily. Since the THC in your herb mimics actual endocannabinoid behaviour, it is no surprise that cannabis smokers in particular experience changes in emotional state, movement control patterns, augmented pain levels and memory-related issues. Let’s elaborate on that – memory issues, for instance, arise due to the way cannabis influences the hippocampus – the part of your grey matter which regulates short-term memory. The effect of smoking too much cannabis prevents the brain from learning new functions, which is a kind of short-term memory skill. But this is temporary. Researchers discovered in one study which was, in fact, published in the Molecular Psychiatry journal, that heavy cannabis smokers can develop false memories – regardless of how recently they have consumed the herb. 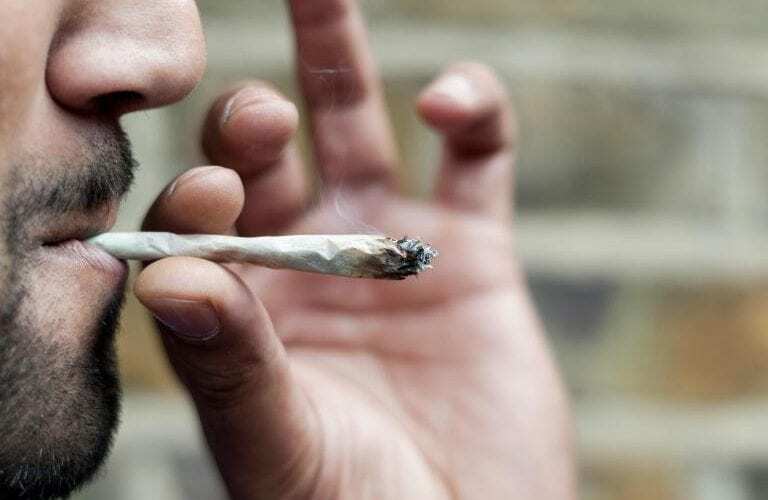 The finding concluded that those who smoked cannabis regularly in their younger years are more susceptible to developing memory issues as adults. In fact, a near-identical study was published in the Hippocampus journal – it was revealed that teenagers who smoked cannabis every single day for 3 years without any gaps, had abnormally shaped or slightly deformed hippocampal regions, by the time they were in their early 20s. The same individuals also performed at least 18% worse in long-term memory skills tests – compared to those who had never smoked cannabis. There is much more research of similar nature, suggesting that those who smoke cannabis on a day-to-day basis for at least a few years tend to struggle with cognitive tasks – as opposed to those who have either never smoked cannabis or smoke it very conservatively. One researcher in particular who reported findings to Reuters Health stated that cannabis consumers who occasionally smoke the herb and then take a break like most cannabis users do, actually have a lower risk of developing issues with learning abilities and short-term as well as long-term memory. Other studies have also observed the effects of cannabis on dopamine levels – the brain’s ‘feel good’ chemical. It was revealed that the neurotransmitter may get compromised due to prolonged and heavy cannabis use. Many of the health issues described above can not only manifest psychologically but physically as well. Cannabis smoke, especially when consumed with unfiltered tobacco, can expose the lungs and bronchial passages to several toxic chemicals including hydrogen cyanide. As a daily cannabis smoker, you are far more likely to experience breathing issues, persistent coughs, and excess discharge of mucus as well as phlegm from your throat. For a fact, the Journal of Internal Medicine has documented the ill effects of marijuana on respiratory health, concluding that those ill effects are all too similar to that of smoking tobacco. There’s more – once THC finds its way out of the lungs, it is absorbed in the bloodstream and moves seamlessly to nearly every nerve ending. The compound can increase heart rate substantially for almost 3 hours in those who either suffer from heart disease or are genetically at risk of heart disease. However, the American Heart Association suggests that everyday cannabis use can contribute to the likelihood of a cardiac arrest. Despite multiple studies, it is somewhat unclear so as to whether smoking cannabis can worsen lung function or lead to a higher risk of developing asthma. For instance, a study published in 2014 sought to understand the relationship between lung disease and cannabis consumption. It was concluded that smoking cannabis may contribute to lung cancer, although establishing a clear link between the two has been difficult. However, researchers from the same study did mention that regular and heavy cannabis use is not entirely harmless and that caution must be exercised. Another distressing long-term health risk of too much cannabis consumption is the effect it can have on expectant mothers. Health Canada has documented the effects of smoking cannabis on pregnant women, explaining that it can adversely affect the child’s memory in the long run. Additionally, cannabis toxins can be passed down to the infant through breast milk. This is a serious and very real health risk as the National Institute of Child Health and Development advises against consuming cannabis recreationally prior to pregnancy and while breastfeeding. JAMA (Journal of the American Medical Association) scientists have also shared their observations on consistent cannabis smoking over the long haul without breaks – stating that it led to deteriorating gum health and, in certain cases, even gum disease. At the End of the Day – is it Really That Bad for You? Factually speaking, there is clear evidence which demonstrates both the health benefits and ill effects of cannabis. Health bodies and scientists believe there is further research needed to understand how long-term cannabis use impacts health. However, researching the full range of effects prolonged cannabis use has on the mind and body is not as straightforward as scientists would like – cannabis is classed as a ‘Schedule I’ drug in the US, which means there are restrictions on how extensively it can be researched, examined and investigated. If you’re living in a state or city where medical cannabis use is legal, you would be wise to consult your doctor to determine if you have a family history of risk factors that may be exacerbated due to smoking cannabis. In any case, we would conclude that moderation is the key. Cannabis’s health benefits are irrefutable – so play your part by valuing your health and not ‘overdoing’ it. Dementia – Can CBD Oil Reduce Alzheimers Disease Risk?